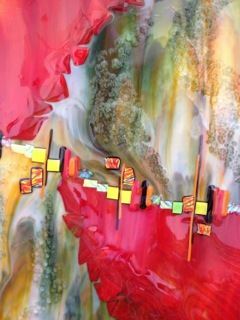 I moved to Perth in 2006 with my husband Shannon and was bitten by the glass art bug after taking part in a 1 day workshop to try something new. As wall and floor space in my home disappeared, and my pendant collection became huge, I began to start selling pieces to allow me to continue with what had become more than just a hobby. I love what I do and hope you do to. I design, cut and fire all my own work with designs taking anything from 6 hours to many days in a kiln to form the final piece. Using a variety of art glasses with fusing, slumping, casting and lampwork techniques I create unique jewellery, housewares and artworks both as small limited ranges and made to the clients specific requirements. 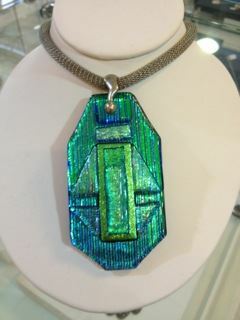 All pieces are individual with designs often influenced by the ocean, landscape and trees of Australia. All kinds of work are available from a small 13 x 13cm lolly dish to a wall hanging 1.2m x 65cm. Glass fusingis the process of using a kiln to join together pieces of glass. Apply heat to glass and it will soften. Continue to apply heat, the glass will become more fluid and flow together. Two or more pieces of glass will stick (or "fuse") to each other. 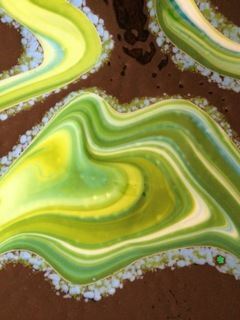 When the right kind of glass is heated and then cooled properly, the resulting fused glass piece will be solid and unbroken.Slumping is the process of using a mold to cause already fused glass to take on the shape of a bowl, a plate, or similar object. Other kinds of manipulation done with fusing techniques are combing, which involves using a tool to distort the shape of the glass while it is hot, and fire polishing, which uses a kiln to heat the glass just enough to make it shiny and smooth. 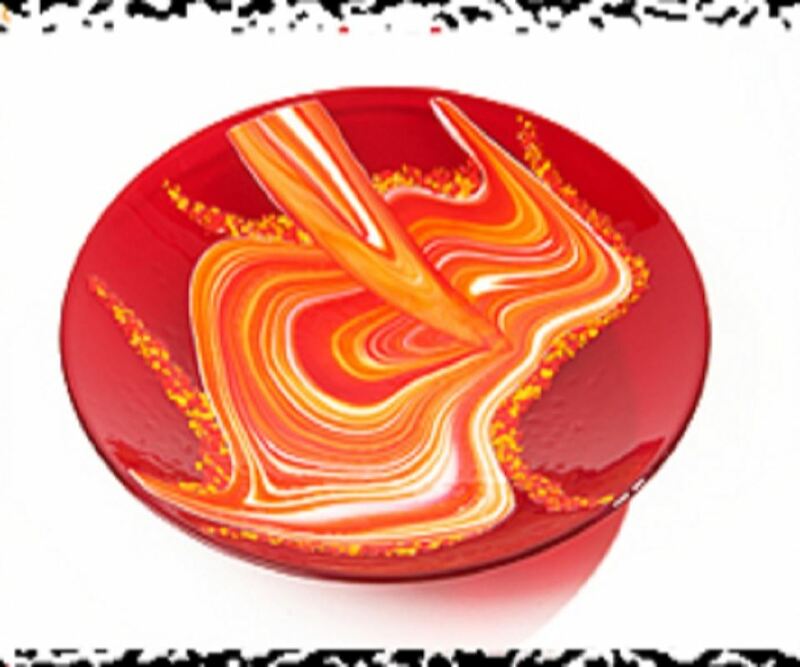 Lampworkingis a type of glasswork whereby the artist utilizes a hot flame and various tools to wind and/or blow molten glass, usually onto special rods called mandrels, forming beads, figurines or other similar miniature artwork. Lampworking got its name from artists some time ago that used hot lamps to melt their glass. Frit Casting- Placing pieces of frit inside a kiln washed mold and heating until the glass fills the mold. This process can take several firings to accomplish. Hot Casting- Pouring molten glass into a mold, usually from a furnace. Lost Wax Method- This method is sometimes called lost wax casting or lost mold casting. A pattern is first carved out of a wax block and once that is finished a plaster mold is formed around the carved wax. The carved wax is then melted out of the plaster and the cavity is filled with molten glass and annealed inside a kiln. Patte De Verre- Fusing a paste made with tiny pieces of glass inside a mold. The name actually translates to glass paste.